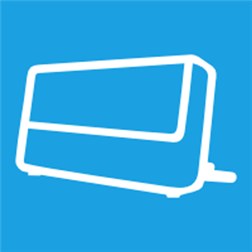 Control all your Squeezebox devices with your windows phone. This includes Squeezebox™ Classic, Duet, Boom etc. Both squeezebox server and www.mysqueezebox.com are supported. -Main view shows your current playlist with full cover art. -Control volume, scan through songs, power on/off, activate repeat and/or shuffle modes. -Automatic retrieval and display from song lyrics. -Automatic retrieval and display from artist bio. -Browse conveniently through your whole music library with cover art to build your playlist. -Full application support for apps like spotify, napster, facebook and more. -Browse and play your internet radio’s and sound effects. -Create and access server side playlists and favorites. -Switch fast between the different players on your server. -Allow to control multiple servers. -Send text to the display from your Squeezebox. -Full control of all your alarms and sleep timer. -Control syncing of your players. -For fast access the program can run under the locked screen. -Improve artist and song info for radio streams. -Added artist image and improved lyrics and info retrieval. -Improve saving from playlists on the server. -Add Artist info and lyrics view. -Added full application support for apps like spotify, napster, facebook and more. -switch library view between artists, albums, genres and years. -some people had problems using the volume and play position sliders. Please click on left or right to move the slider. It is advised to use Squeeze center version 7.5 or higher. This can be downloaded for free at: www.logitechsqueezebox.com.